LOBSTAAAAA rolls! Scorching hot summer days, roadside seafood shacks, the ocean breeze and lazy weekends; what would summer in New York be without our favorite import from Maine! Well, actually, turns out the snack of chopped crustacean drenched in clarified butter served on a top-split bun was actually a Connecticut invention. 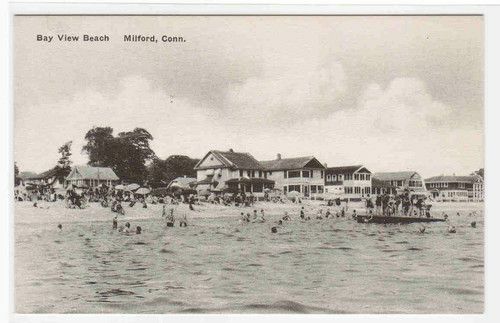 According to food historians (yes kids, that's a job), a Harry Perry served up the first hot lobster roll sometime in the 1920's in his fish shack on Bridgehampton Avenue in the coastal town of Milford CT, probably coinciding with the newfound popularity of stuffing things into the brand new commercially manufactured hot dog bun. The "modern" lobster roll as we know it today originated the late 60’s in Amagansett, New York, where out of his Hampton seafood restaurant a Fred Terry (Rhymes with Perry. Coincidence? Lobster conspiracy?) offered his widely successful version of a cold lobster salad with mayo, celery and seasonings on a bun. Here is a little history: Lobster wasn’t considered a luxury in colonial America. They were so extremely plentiful folklore tells of beaches covered in hundreds of huge crustaceans washed ashore. Lobster harvesting meant walking along the shoreline with a bucket. They were considered a nuisance by colonial fisherman and only fit to feed swine, the very poor, indentured servants and the prison population. Domestic servants demanded not to be fed lobster and oysters more than three times a week, appealing to the Christian morals of their employers. In other words, you couldn't trade them for sack of potatoes. Only around the mid 19th century lobster started appearing on white clothed tables in New York and Boston. Delmonico’s restaurant on Fifth Avenue and 26th street gifted us fancy French-style Lobster Newburg in 1876, a triumph for the American Pavilion at the Paris Exposition of 1920. Surprise, lobster became an expensive commodity. So how did lobster go from fertilizer-grade dog food to be in a lofty league with champagne and caviar? Blame tourists from New York and Washington escaping their stifling non air-conditioned homes for the cool New England summers in the late 1800's. Advances in canning and refrigeration made transporting by railroad into America’s inland possible were it was considered exotic. Ironically, shortly after it's popularity soared, overfishing depopulated the stock and it was reserved for the wealthily who could afford it. Today lobster populations are thriving again, some say as a result or global warming. Americans consume around 200 million lobsters per year, 80% harvested from the crisp waters of Massachusetts, Rhode Island and Maine. These are not the 20 pound behemoths plaguing the colonial servants but a much leaner stock. A one pound lobster is around 5 - 7 years old, it takes about 5 of these bad boys to yield a pound of meat. For the advanced lobster aficionado Tasting Table’s annual NYC Lobster Rumble is a must. This super popular event is not for the rookie lobster lover, it takes practice, sincere training/ juice fasting and a skipped lunch to attend an event that offers unlimited samples of 25 different type of lobster rolls and select wine offerings. We usually have to tap out around the 10 lobster roll mark. A masterpiece of a lobster roll. The surprising addition of cucumber and a light tarragon mayo makes this a winner. It doesn’t hurt one gets to enjoy this treat on board of a sleek historic schooner docked in Tribeca. Seasonal. 9 locations plus a food truck, the fresh juicy claw meat lobster rolls from this Maine expat are constantly great and satisfying. Convenient locations all over town makes this friendly nautical themed casual hangout a local favorite. Word that the Red Hook food truck is in the vicinity will clear out the office really quick for a lunchtime splurge. Offered Maine, Connecticut or Tuscan style. Try them all, they are fantastic. Served on a brioche bun and a generous side of spicy Old Bay fries this is one addictive meal. We’ll be back tells us the fortune telling fish! Several locations. This upscale Atlantic seafood fave by the Lincoln Center isn’t only famous for its outstanding raw bar but also serves up a mean lobster roll with cole slaw. Empire Hotel, 44 W 63rd St. The mayor of lobster roll town and for a good reason. One bite and you know you are in the presence of greatness. Perfectly balanced and elegant.